The Gold Coast SUNS have extended the playing contracts of Jesse Joyce and Josh Schoenfeld. Joyce, a Palm Beach-Currumbin junior, was a member of the Gold Coast SUNS Talent Academy and has played 28 games in two seasons after being selected as a rookie at the end of the 2015 season. “I’m rapt to be extending my playing contract with the SUNS,” Joyce said. Joyce said the arrival of new senior coach Stuart Dew has already had a positive impact on the group. 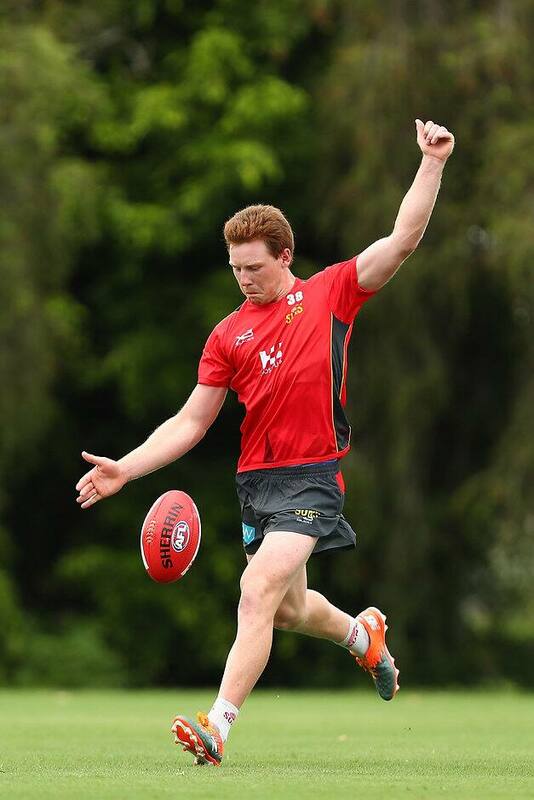 Schoenfeld has played eight matches for the GC SUNS since being recruited with selection 34 in the 2015 NAB AFL Draft. One of the fittest players in the competition, Schoenfeld has displayed good composure and neat skills in his first two seasons with the club and says he has added size to his frame in the lead up to the 2018 season. “Like all the boys 2018 can’t come quick enough. I know I had some work to do building my body for the rigours of the game, I’ve worked hard with our High Performance team and development coaches to achieve this and I can’t wait for the season ahead,” Schoenfeld said. Joyce and Schoenfeld contract extensions come as the playing group commence their Christmas break. Players will return to training on January 9.